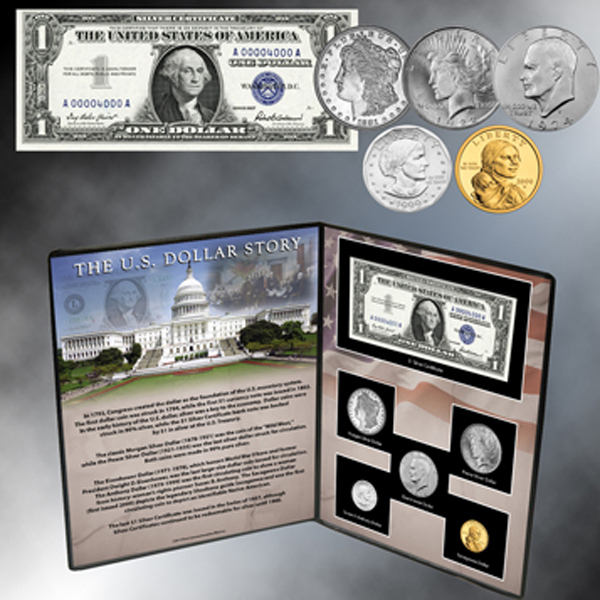 This collection tells the fascinating story of the Dollar in U.S. history – from the classic Morgan and Peace Silver Dollars from the early 20th century, to the Eisenhower, Anthony, and Sacagawea coins of the late 20th and early 21st centuries … plus a $1 Silver Certificate bank note that once circulated alongside other currency. The Morgan Dollar was the coin of the “Wild West,” while the Peace Dollar was the last silver dollar ever struck for circulation. Both coins were made in 90% silver and are increasingly hard to find. 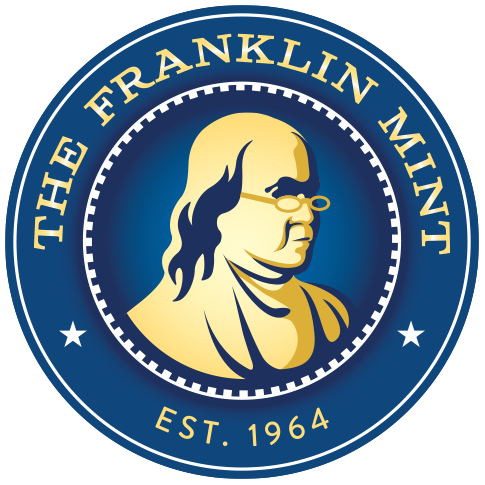 The Eisenhower Dollar was the last large-size dollar coin … the Anthony Dollar was the first circulating coin to show a woman from history … and the Sacagawea Dollar was the first to depict an identifiable Native American. 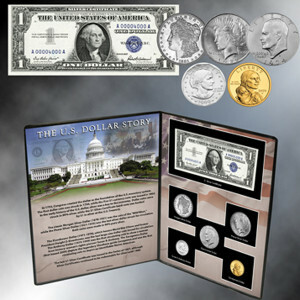 To complete the story, the collection also features a $1 Silver Certificate that was backed by $1 in silver. 8.5" x 10.625"